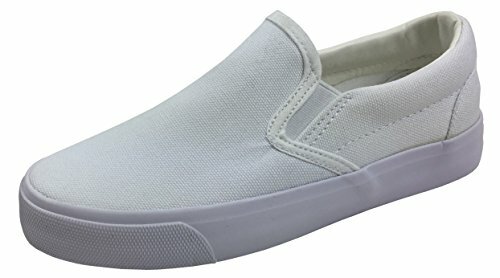 SLIP ON SNEAKERS: These low top canvas shoes are easy on & easy off. 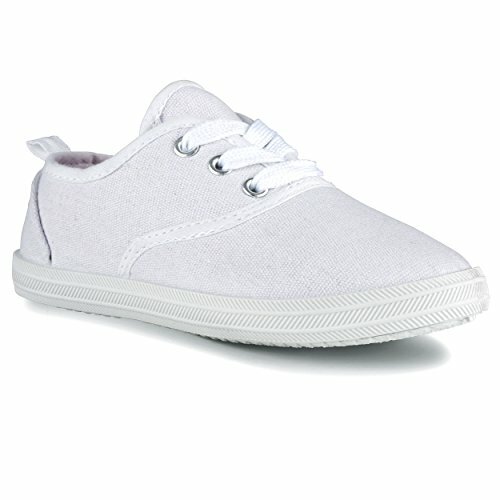 Featuring white sole and canvas upper, they great for everyday wear. 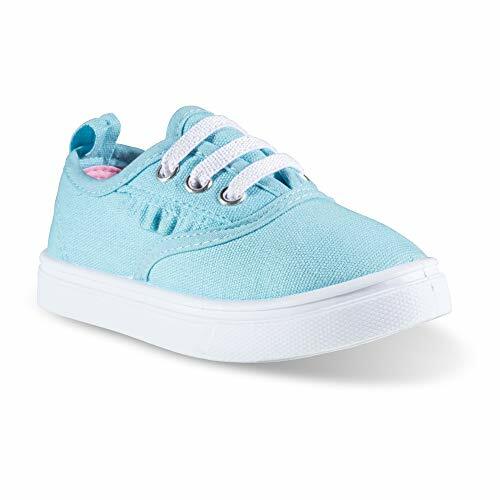 CLASSIC CANVAS: These come is it lots of bright and classic colors for boys or girls. Available in Toddler to Big Kid sizes. 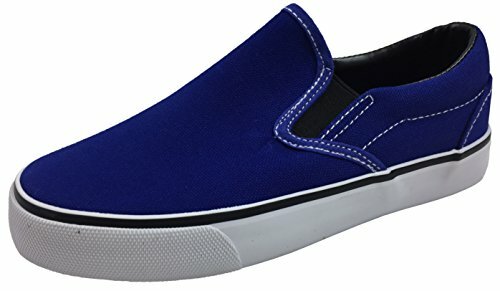 SLIP ON: These sneakers slip on and off. No ties to mess with. Comfort for school and play! 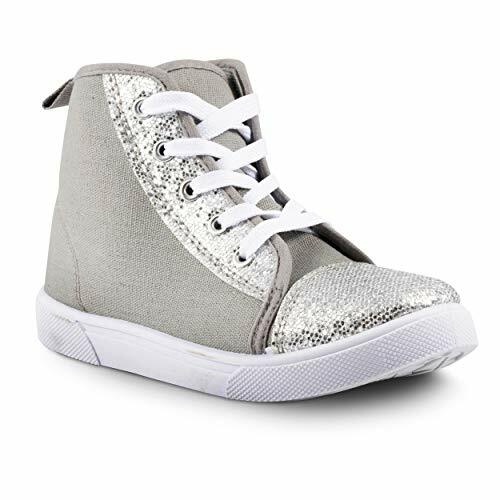 FASHIONISTA FOOTWEAR: Sugar & Spice colored canvas sneakers are fashionable and functional. 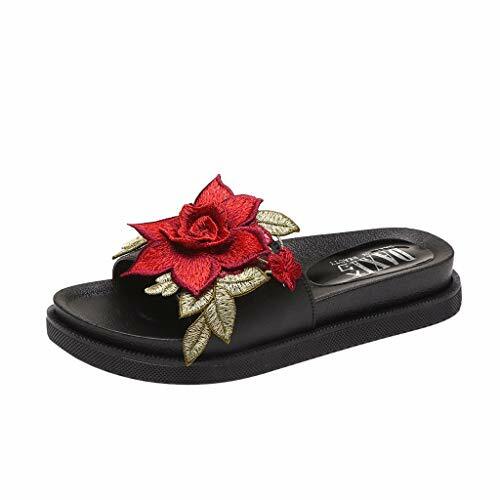 Offering a classic style shoe that can be worn with pants, shorts, dresses or skirts, your little fashionista will get lots of use out of these versatile shoes, which add an adorable look to any outfit, year-round. KID-PLEASING, PARENT-APPROVED: A breathable canvas upper offers comfort, while its lace up design provides a secure fit, and rubber sole keeps little ones sturdy on their feet while running, jumping, skipping climbing. Kids love the look and feel of this shoe, while parents appreciate the high quality craftmanship, durability and safety it offers to little feet. ADORABLE & AFFORDABLE: Children go through many pairs of shoes, that's why Sugar & Spice offers adorable styles at affordable prices. Little feet grow and kids wear out shoes fast through everyday play. 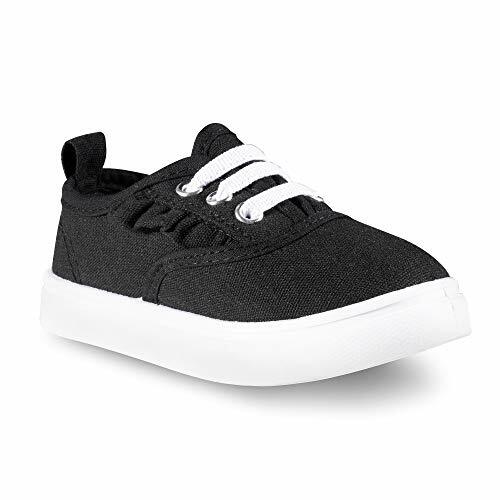 These canvas sneakers are quality made to keep up with active little feet and withstand frequent wear, saving parents money in the long run. 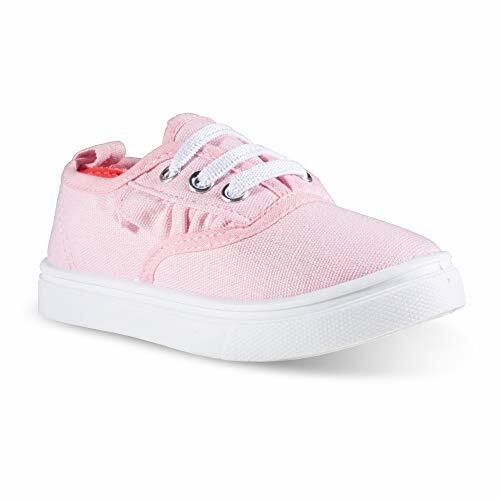 SIZING FOR ALL, BIG OR SMALL: Whether your little girl is just learning to walk, or is already a superstar on playground, Sugar & Spice has her covered as these canvas sneakers are available in Toddler sizes 5-10 and Youth sizes 11-3. POP OF COLOR: This sneaker is available in lots of fun colors to choose from, with the shoe's upper and lining having contrasting colors that really add a vibrant pop of color to any outfit. 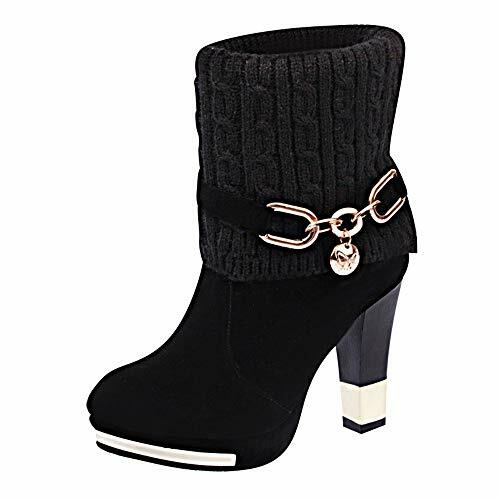 Choose from the following color options -- Black upper/Red lining, Grey upper/Black lining, Blue upper/Black lining, Fuchsia upper/Purple lining, Red upper/Orange lining and Pink upper/Blue lining. _Toddler Loafers are made of Artificial Leather, Lightweight Flexible and Comfortable, Durable for Preschool/Newly Walking Toddlers. 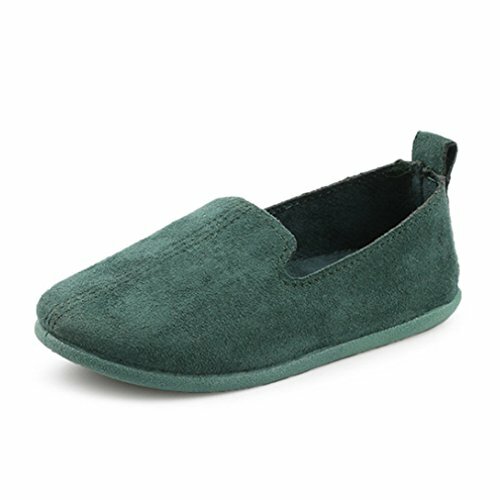 _Little kids or toddler boys and girls can wear them for a Dressy Casual Look, Easy to Slip-On and Off. 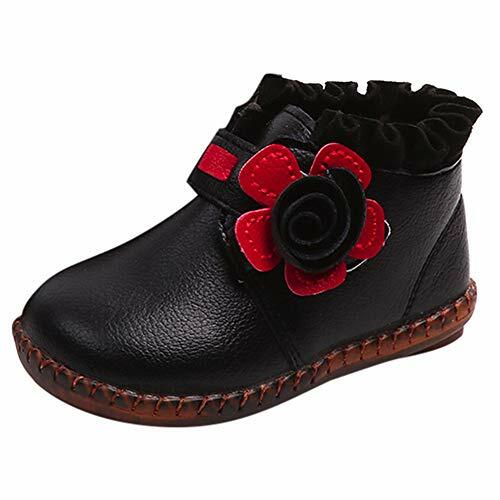 School, home and daliy walk,wherever the kids want to go, this toddler shoes all ia a perfect choice. 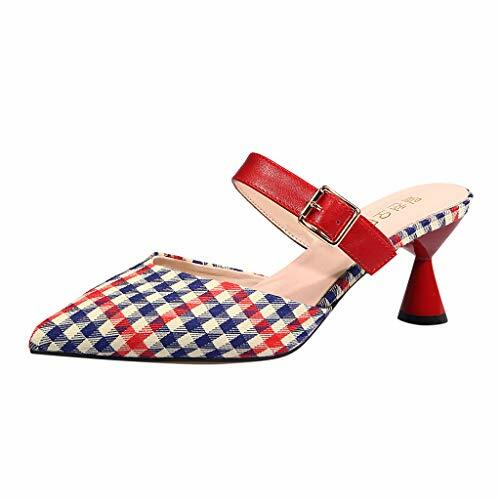 _SIZE NOTICE_ Before you buy this shoes, please according to (Product Description)size reference(SHOES INSIDE LONG)choice the correct size.Thanks! _100% SATISFACTION OR MONEY BACK GUARANTEE_ Please without any hesitations to contact us if you are not satisfied or have any problems with it, we will handle it within 24 hours. ❤️ A GREAT BABY GIFT for babes winter wardrobe, Christmas party ,first birthday, friends party, family ceremony; You would find it match everything clothes, super easy to clean, and so practical for cudding & scooting around the house.Perfect For Walking,Playing,Crawling,Going Out Etc.These Booties would be a Best Baby Newborn,Shower,First Birthday Gift. 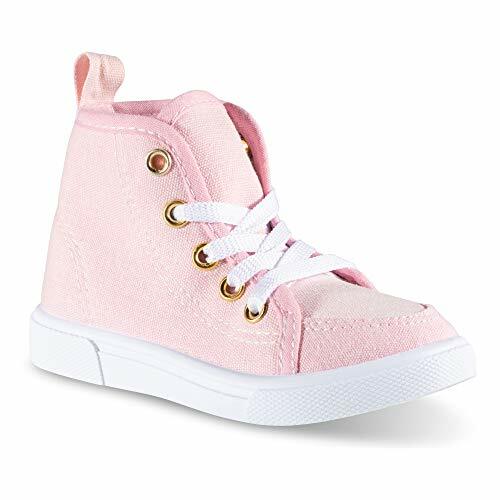 TODDLER FASHION TRENDS: Your growing children will go through many pairs of footwear, so try out some new variety w/ our Kid's Shoes, to ensure your toddler walk out in style. 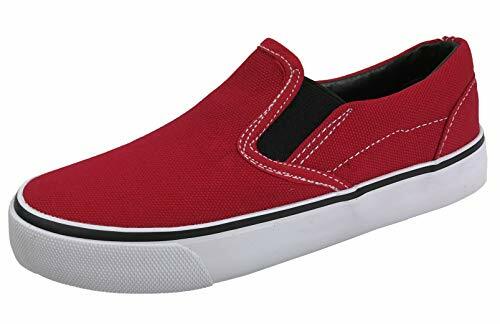 Available in Black & Black, Black & White or White & White, simple colors yet eye catching, high top sneakers that are as easy to wear as they are to get on your feet. 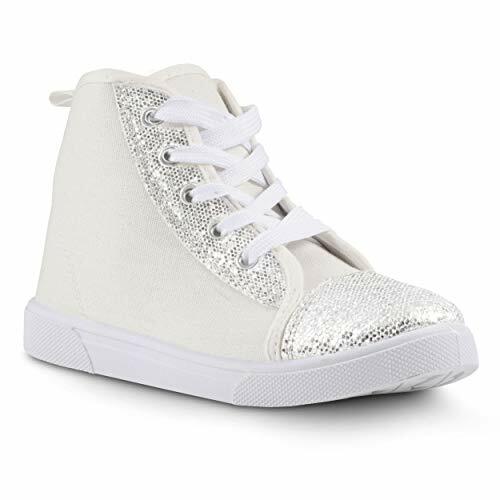 Step Up Your Littles Ones' Game and dress up in any outfit with these adorable Chillipop High Top Shoes for Kids. 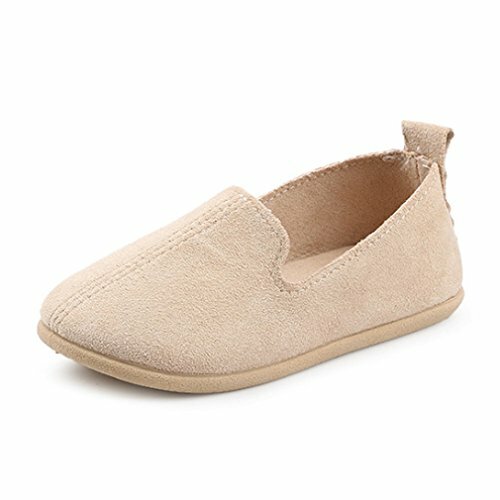 CUTE AND COZY: Kids require good shoes to protect their sensitive feet, whether for your fashionista girl, or your laid back little man, these unisex footwear offer comfort w/ a sleek, classic look. A fresh pair of white kid's shoes will always be stunning, all black or black/white should be your go-to color for everyday style. 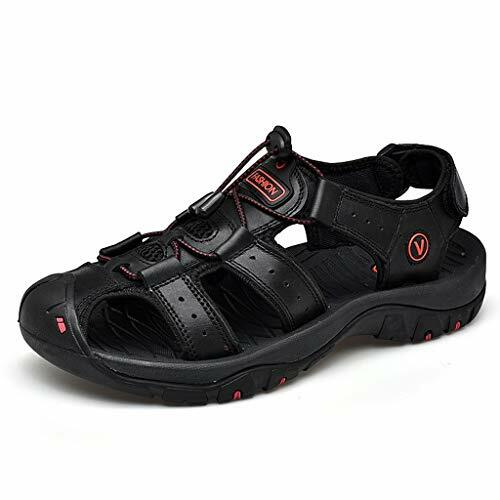 Our shoes are durable, breathable supportive and affordable footwear and worth getting for your kids. SAFETY MATTERS: Sneakers have earned the reputation of being one of the most pleasant and cozy shoes in the world, especially to children. 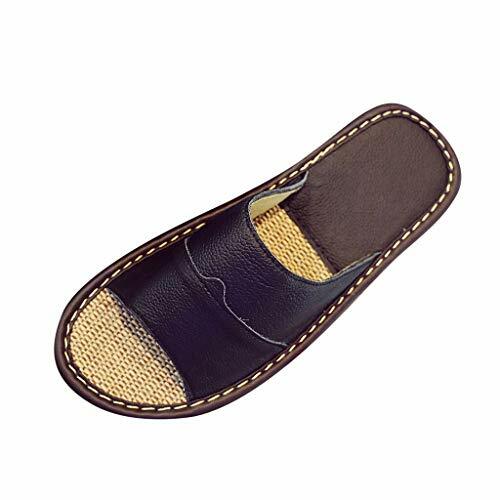 Allowing their feet to have comfortable movement without sprain or causing any injury. 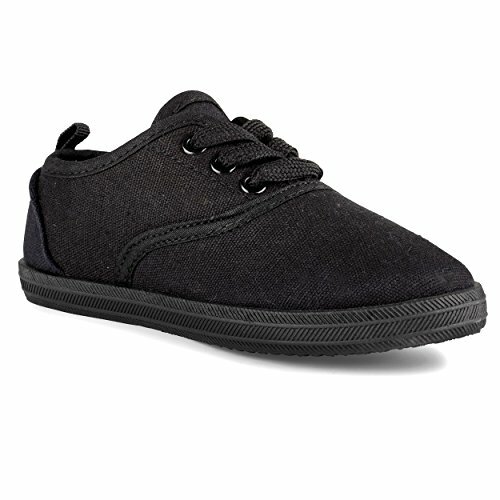 Chillipop Canvas Shoes are designed with your toddlers' sensitive little feet in mind. 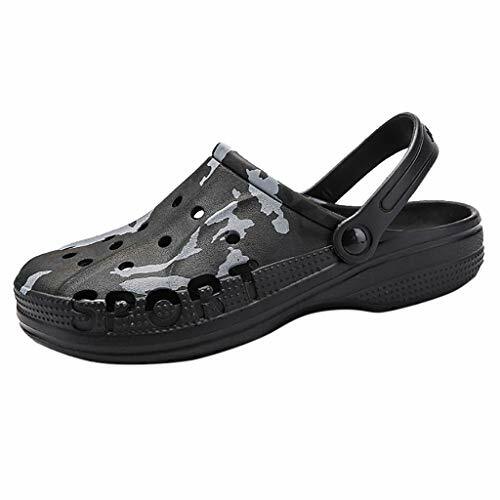 Made w/ Premium Grade materials, offering them the foot protection they need. Giving them the freedom to improve their motor skills with a lesser chance of their feet getting hurt. 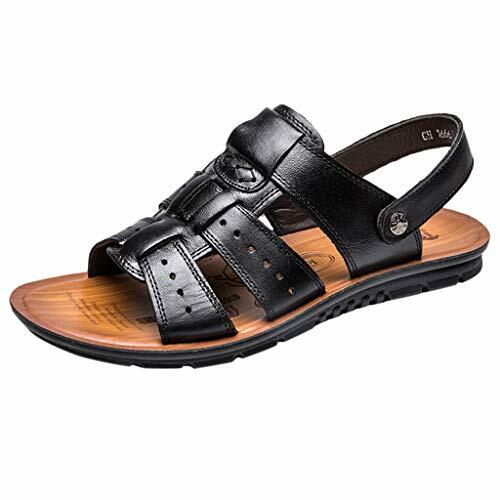 Corriee Fisherman Genuine Leather Breathable Sandals Mens Adjustable Breathable Shoes Summer Beach Walking SlippersGood looking flip-flops! These flip-flops are everything I would expect in a beach sandal. 【Design Concept】Sports Fusion Fashion, technology used in the upper and sole material. 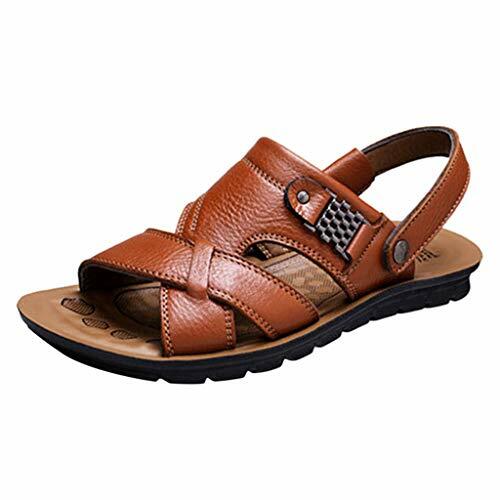 Application of skin-friendly mesh and synthetic lightweight wear-resistant soles. More Innovative & User-friendly design , reflected in the shoes, our mens fashion sneakers hold their own no matter the day or event! When it comes to style and versatility, other mens sneakers can't compete! 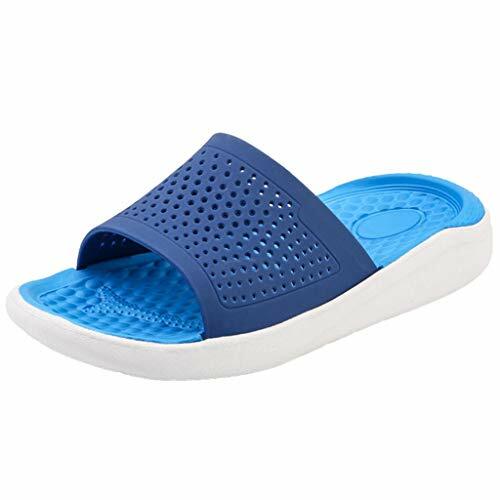 【Lightweight / Breathable 】This running shoes made from soft and durable material,elastic outsole provides your foot enough cushion between foot and ground. 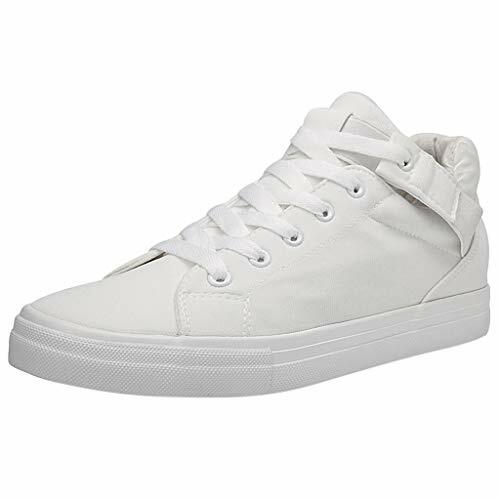 Our leather sneakers for men are specially designed with PU Leather to create a lightweight and soft pair of casual fashion sneakers, providing day-long comfort! 【Advantage】Durable / Wear-resistant / Anti-Slip Soft Sole - The snow booties are meticulously selected high-grade rubber as the sole which features excellent abrasion resistance, skid resistance and deformation resistance, perfecting for outdoor activities. 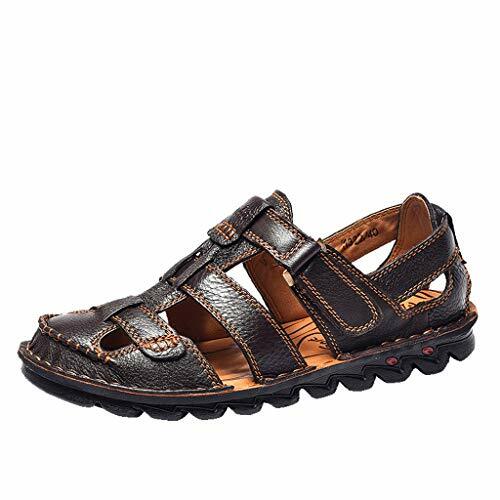 【Suitable Occassion】This walking shoes are best of any casual leisure assemble. Indoor, Outdoor, Home, Vacation, Party, Leisure, Casual, Golf, Daily walking , Shopping, Running, Tourism, Camping, Horse riding, Driving, Travel, Gym, Joggers, and etc. (=^ ^=)About Us:【About Shipment】We shipped items from China. We shipped usually needs 3-15 days to arrive. Mostly it will reach you earlier than the estimated date.if you want to receive the item in one week, you can choose fast shipping.our size chart. (=^ ^=) Size chart details --The last piece of the product map is the size chart details.Please pay attention to check what size you fit.If you have any question,please contact with us on time.Have a good time.